Sound reproduction has forever been a fascinating world where emotion and technology cohabit. Like any other form of art, the best result is achieved when these two values, at their peak, finally embrace. With this combination in mind, every project we develop arises from Audison Istinto Innovativo. Unwaveringly dedicated to researching the perfect sound reproduction, the recognition that global industry experts have shown towards our brand makes us extremely proud of this choice. When designing a product all we care about at Audison can be summarized in a single word: Emotion. This concept spaces from the product sensory features to the essential “Sound” element. Thanks to the most advanced FEM (Finite Element Modelling) techniques along with accurate measurement, simulation and analysis tools, a mathematical model is defined to achieve the target sound. What follows is a long journey involving several aesthetic design trials, extensive material selection, prototype evaluation, musical refinements and production processes until the purpose is achieved: Emotion. A speaker’s technical definition as an electromechanical device which converts the electrical signal provided by the amplification into acoustical pressure waves, can not alone describe its physical complexity and its emotional role. 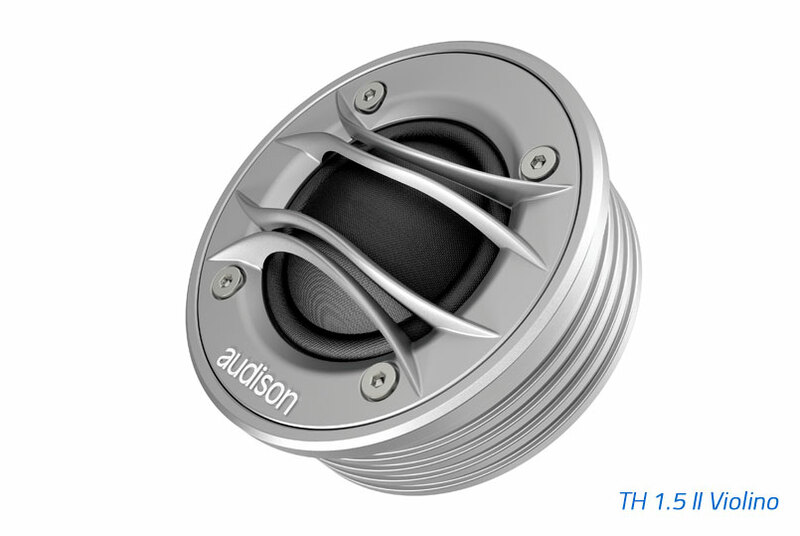 With the Thesis II speakers, the Audison R&D team has reached a significant evolution; producing a speaker system that can “drain every last drop” from the Thesis amplifiers. Unique and groundbreaking: beyond the absolute. As for any new project a series of performance and cosmetic targets to be met have been drawn by the engineers. You can imagine how compelling they may have been and the challenge they have triggered for the R&D Team. 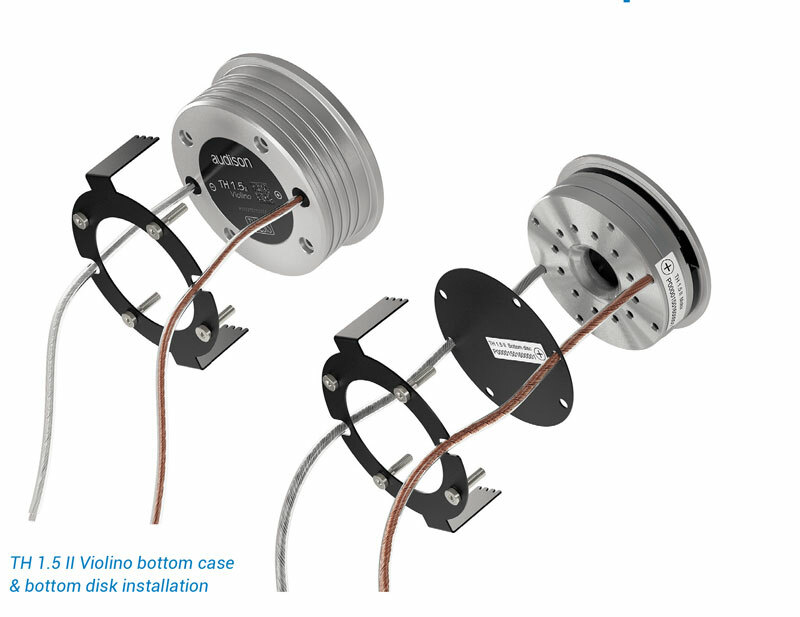 To obtain an “ideally damped” response in the piston-like range a high flux density is required from the motor along with a good overall mechanical compliance of the suspension system and of the dome electro-acoustic load. A neodymium N38 “H-grade” was selected for the magnet, ensuring a higher flux density and lower dispersion of the characteristics according to the working temperature if compared to the standard N38 Neodymium. 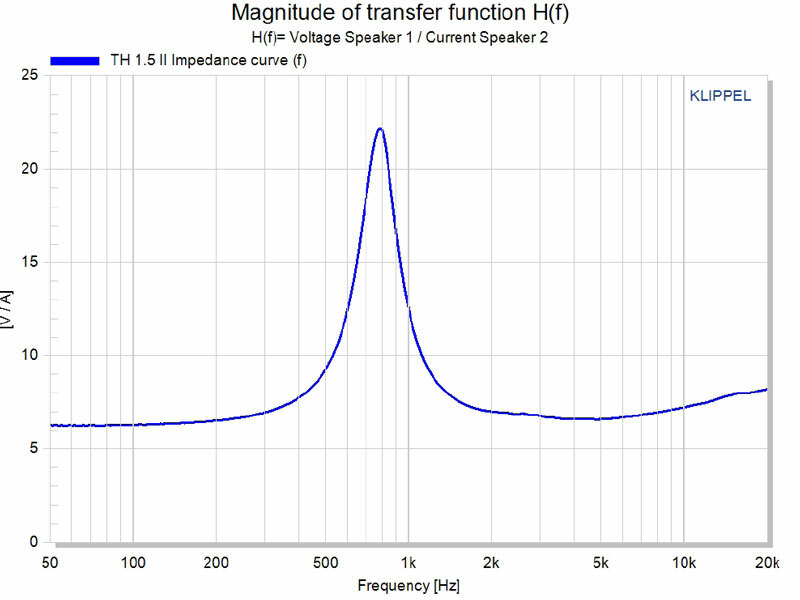 The required geometry made it necessary to produce a custom magnet for the TH 1.5 II which, with an external diameter of 60mm and a 5mm width, can provide 1.67 T*m in the magnetic gap, ordinary values for a highly performing 6.5” woofer. The magnetic circuit was sized with a flux saturation which can guarantee a low residual inductance at high frequencies, thus not requiring a magnetic short-circuit solution, such as copper rings, which reduces the flux into the magnetic gap. 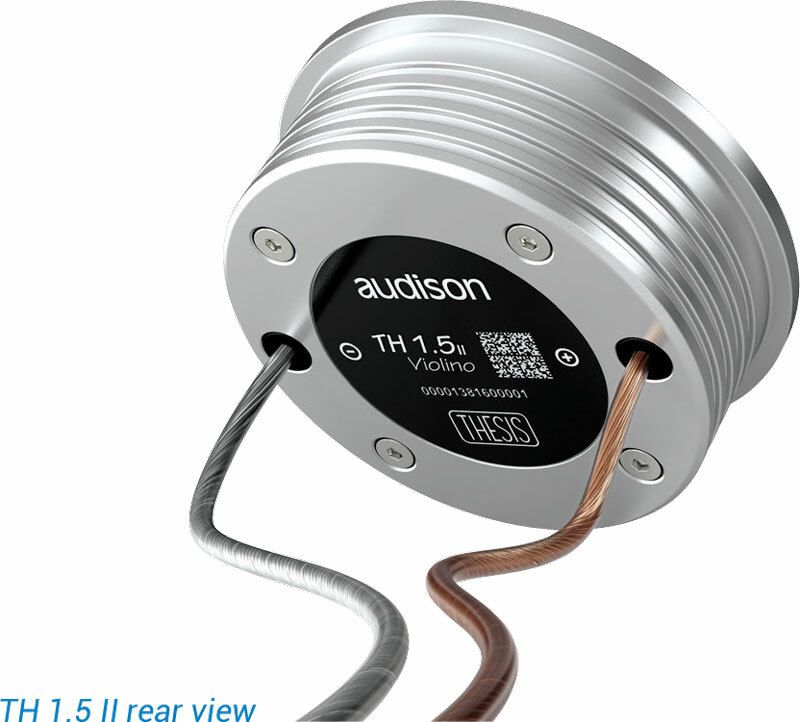 A magnet tailored to the Audison TH 1.5 II has also played a key role on its compactness allowing cables, in pure OFC 16 AWG section copper, to cross the whole magnetic/acoustic structure from the point of electrical contact with the coil terminals to the exit on the case bottom. In this way the cables are integrated without increasing the footprint. Only a 34mm coil would allow the TH 1.5 II to express its best in the most complex musical passages thanks to the low dynamic compression. A single layer CCAW wire is wound on an aluminium former, a material selected for optimal damping. 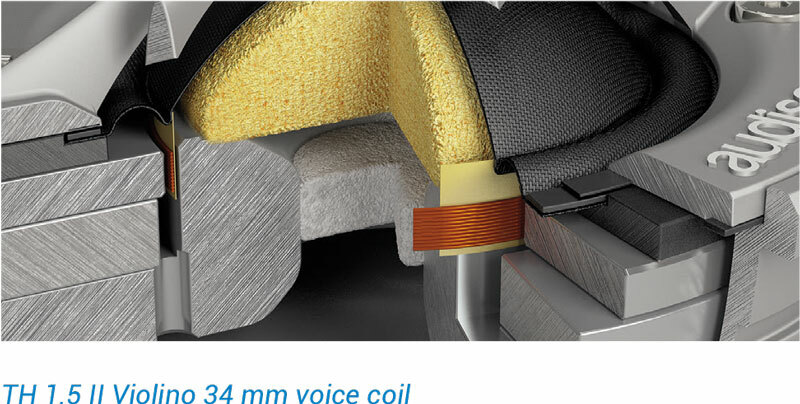 The choice of the single layer and a higher than average electrical resistance of the car audio tweeters (6.1 ohms) derives from the need to combine a low thermal resistance to a relatively low weight winding considering the size of the voice coil. 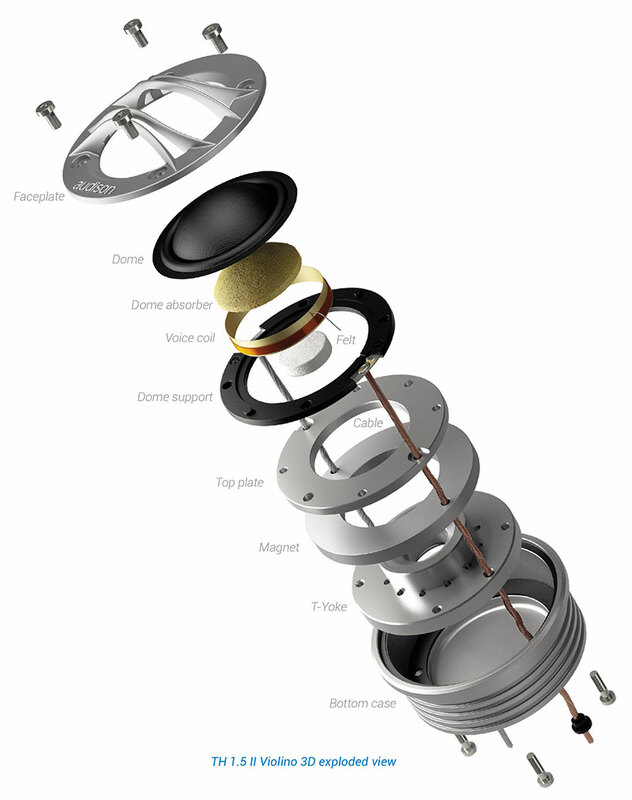 Even more than in a cone speaker, the tweeter membrane is directly responsiblefor its sonic characteristics. 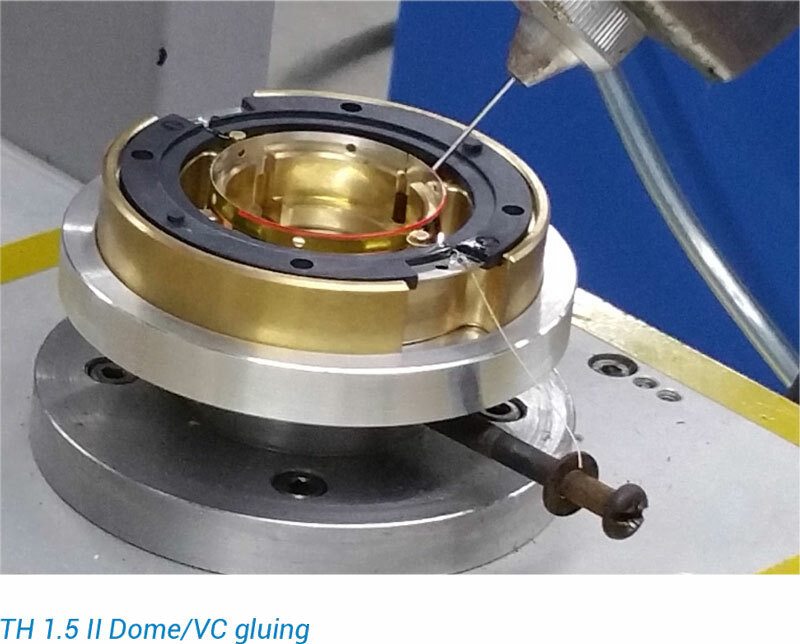 Therefore, even before designing and testing the profile, the designers have selected the suitable varieties of silk membrane cataloguing them by the weaving material, density and damping treatments to characterize them with the use of the Klippel Scanning Vibrometer. 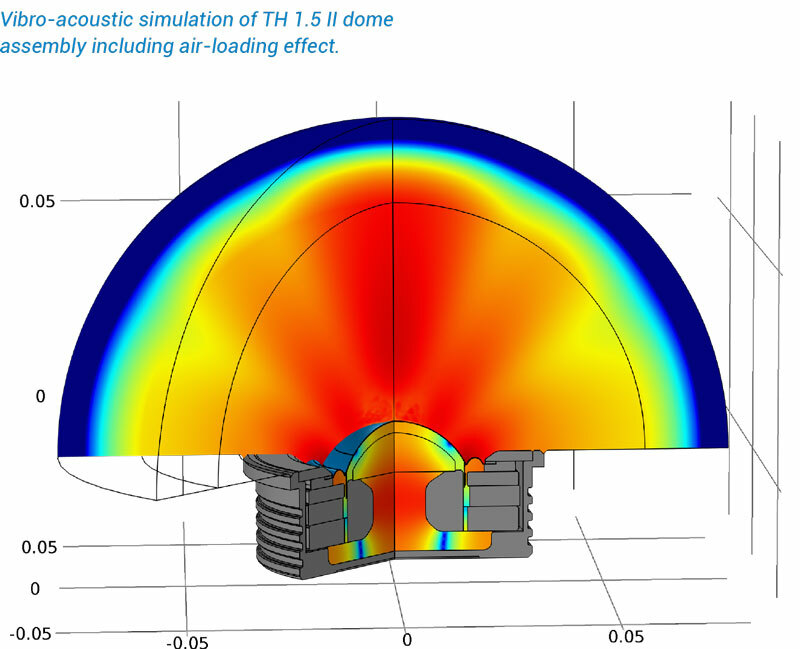 Only after a thorough physical characterization of the various materials available and the creation of a refined model of vibroacoustic simulation was it possible to continue with offering a set of 11 different dome profiles. 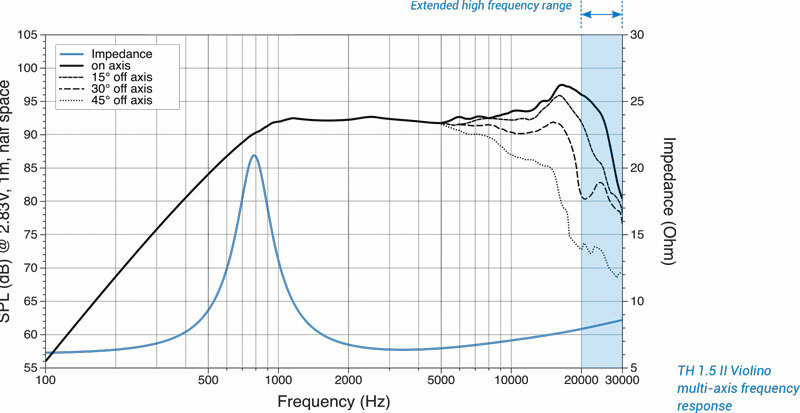 These profiles matrix-combined with the material variants in the finite elements simulation software, generated 33 different combinations for as many frequency and phase responses, of which only three have seen the light and have then been tested and subjected to extensive listening assessments, which have made the current structure used in the TH 1.5 II successful. 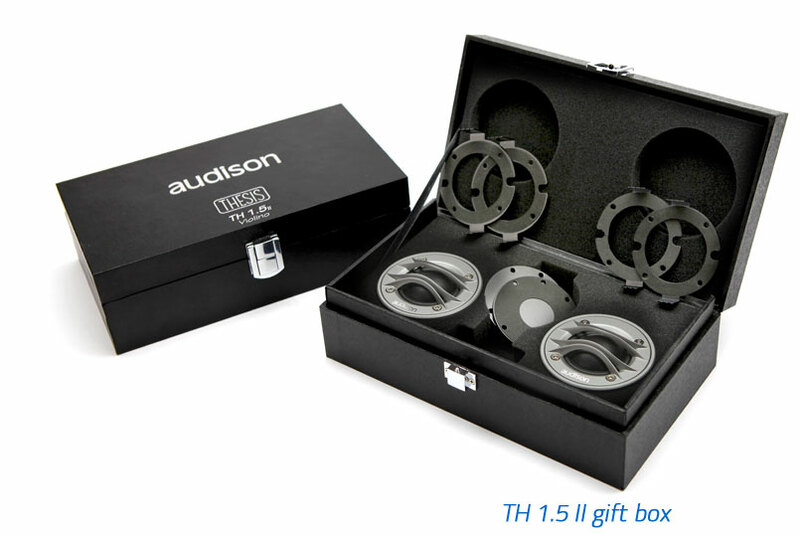 The solidity of TH 1.5 II is also well noticeable in its mechanical all-metal structure, for a considerable weight of 370 g. Each part has been designed exclusively for the TH 1.5 II, screws included. The faceplate, also made of die-cast aluminium, is a perfect example of harmony between elegance and technique. 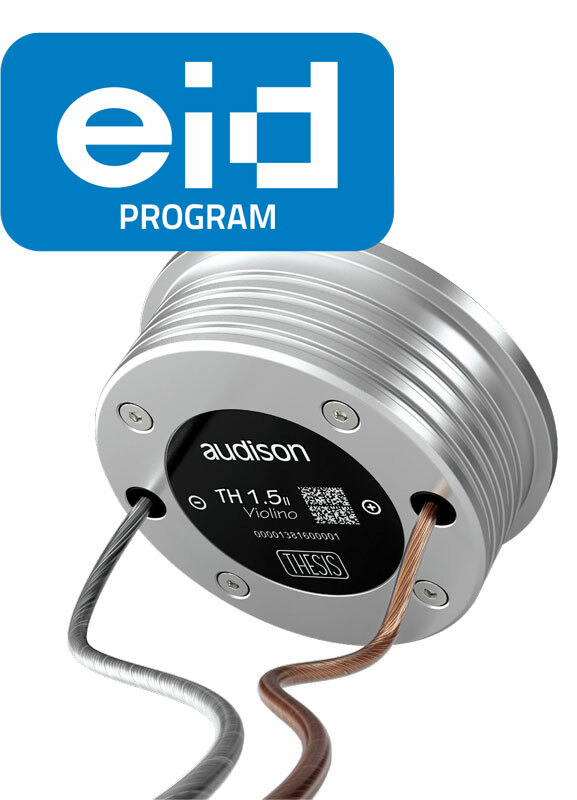 The Audison logo, obtained from the solid, is finished with a CNC high precision machining, while the radial profile of the faceplate is engineered for minimum acoustic impact ensuring optimal frequency dispersion. Unparalleled low-frequency roll-off has been achieved by a sophisticated air-loading system. A high precision aluminum die-cast bottom case offer an electro-acoustic load to lower the system total compliance for a resonance frequency below 800Hz. whole range. 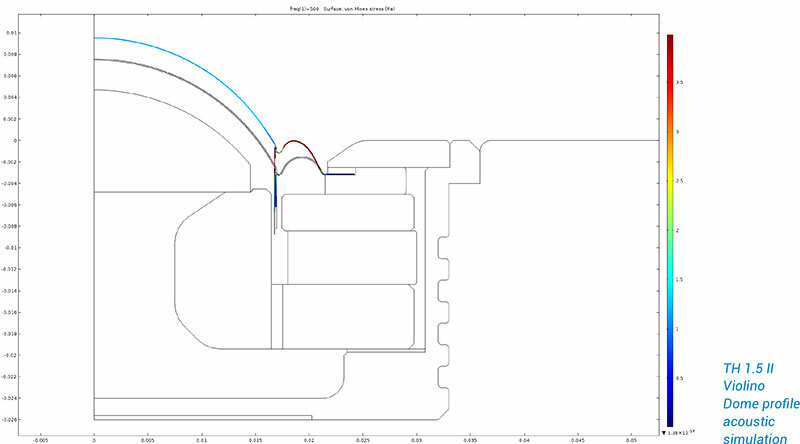 All these measures result in an incredibly natural low-midrange reproduction and allow for crossover point with woofer starting as low as 1.5 kHz/ 12dB Oct.
All efforts in the design would have been vain if the industrialization of assembly processes had not been obsessive. 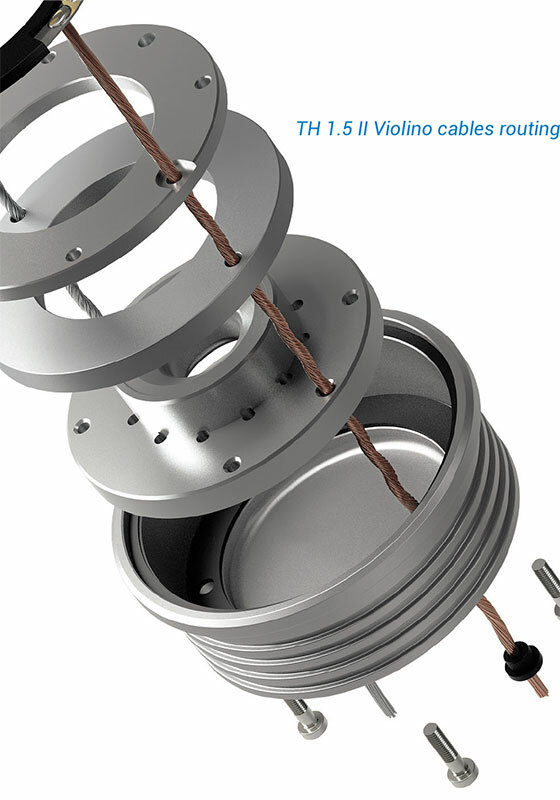 The dome/coil combination encompasses the real “heart” of the TH 1.5 II, for this reason its assembly is totally independent from the rest of the product, in a special high automation department, and is made on a support of very high density plastic material reinforced with high percentage of glass fibers. Allowing a 34mm diameter coil to extend at high frequency up to 26 kHz would have been unthinkable unless supported by an exhausting phase of tuning of the dome/former junction coupling, both in terms of choice of glue and of the geometry and amount of the same. A special hi-technology glue is applied using 3D robotic systems to ensure high repeatability of glue quantity and perimeter of application. 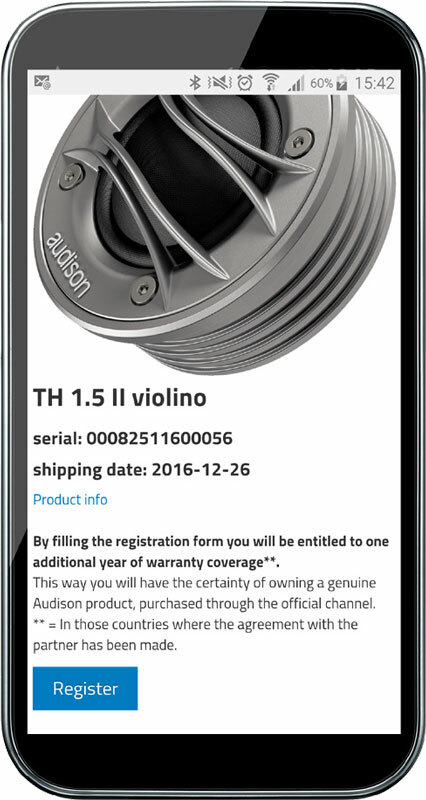 The TH 1.5 II tweeter has been developed according to targets of highest performance as well as flexibility of in-car integration. 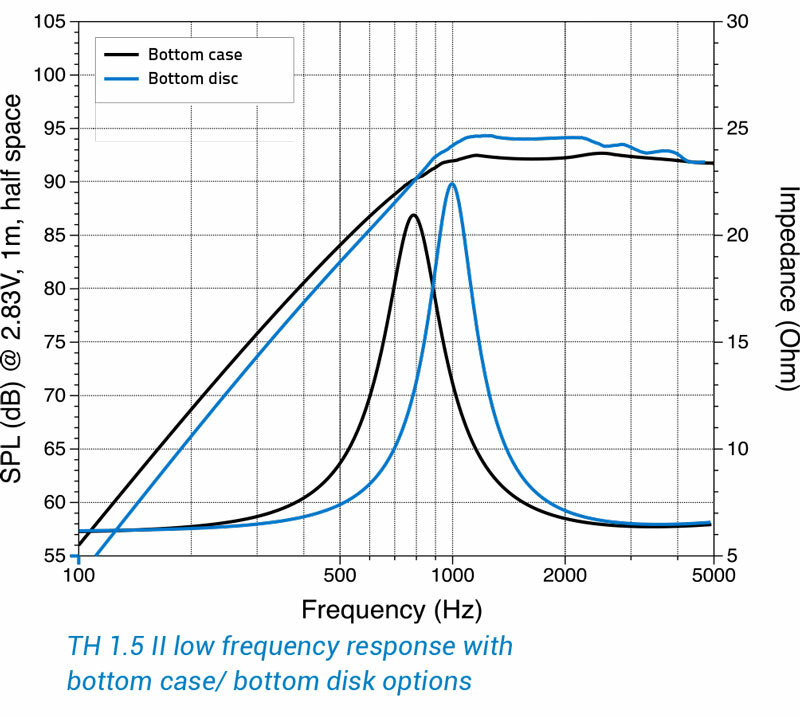 This is why the R&D has offered two types of electro-acoustic load: bottom case or bottom disk. 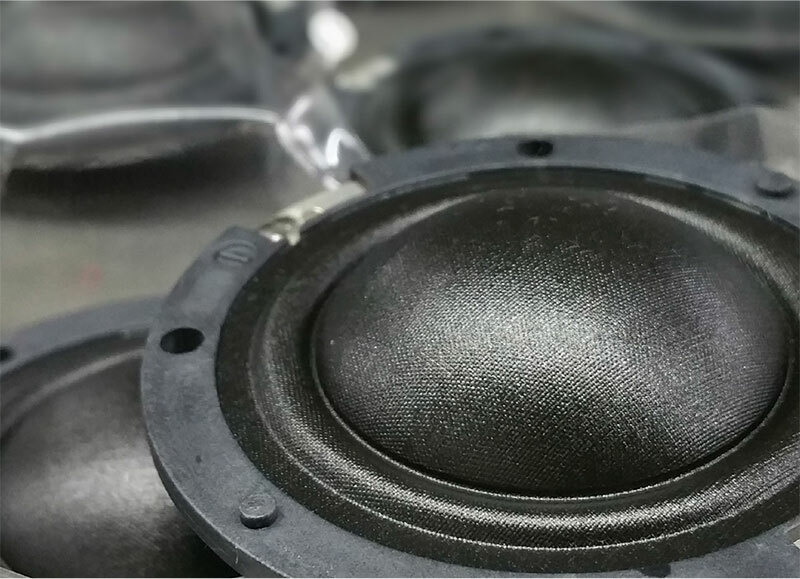 Thesis speakers are the first to develop into eID, the exclusive technology providing Audison product traceability starting from the manufacturing stage. The eID code, linked to the serial number, is assigned to the product once the QC checks are completed and assigned to the country/market of destination at the time of shipment. Thanks to the eID technology, the user can check the product technical, manufacturing and logistic information by simply scanning the code and proceeding with the product registration, to enjoy one additional year of warranty coverage*. Thanks to the eID technology, the user can check the product technical, manufacturing and logistic information by simply scanning the code and proceeding with the product registration, to enjoy one additional year of warranty coverage*. eID makes sure the user feels “Beyond the Absolute” with Audison Thesis.